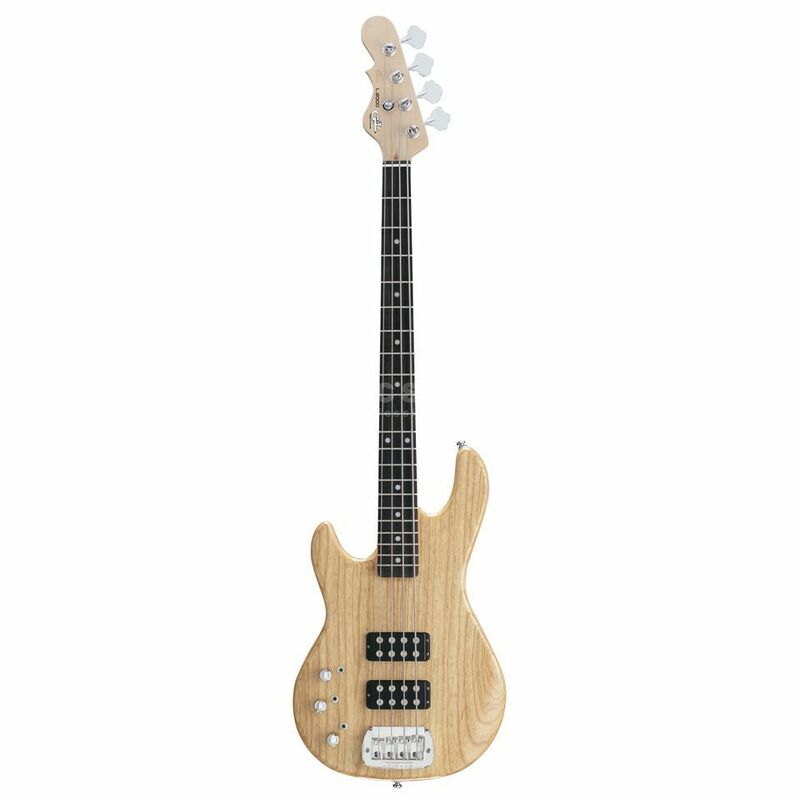 The G&L L-2000 Lefty 4-String Left Handed Bass Guitar in Natural is a variation on the model that was originally designed over three decades ago by Leo Fender himself as an attempt to break the status quo. The G&L L-2000 Lefty features a lightweight carved Swamp Ash body that is joined by a medium C-shaped Hard-Rock Maple neck with a smooth and fast playing 21-fret Rosewood fingerboard with whit dot inlays. The neck is finished off by the distinctive G&L headstock, a design that features every element of another well-known brand, but in a slightly different order. The body of the G&L L-2000 Lefty is equipped with a pair of G&L Magnetic Field Design bass humbucker pickups that have been designed and made in Fullerton, California. These incredibly powerful pickups are paired with a flexible Tri-Tone control system. This setup features a trio of mini toggle switches for pickup selection, series/parallel operation and active/passive operation, as well as knobs for volume, treble and bass control. To round out the hardware fittings, the G&L L-2000 Lefty comes equipped with a Leo Fender-designed G&L Saddle-Lock bridge that provides rock solid tuning stability and increased resonance, and a set of traditional open-back tuners.